​Today’s deals roundup includes a bunch of storage devices, couple of smartphone accessories and few computer accessories as well. The list contains products from brands like SanDisk, Seagate, Logitech and more. For today’s deals roundup, we’ve put together a wide range of gadgets. The list includes products from brands like Seagate, SanDisk, Logitech and more. A majority of the products we’ve listed lie within the range of Rs 1,000 to Rs 2,000 along with a cashback on Paytm Mall. The SanDisk Dual Drive Pen Drive features OTG support and comes with a standard 2.0 port and micro USB port which allows you to transfer files from your laptop to android device easily. According to the company, the device can transfer the data at the rate of 150MB/s. You can purchase the device here. The Sandisk 16GB microSD card provides external storage to your device. Sandisk claims that the microSD card is shockproof, waterproof and temperature resistant. One can also transfer data stored in the internal memory of a smart device, to the card via SanDisk app. You can purchase this device here. The 1TB Western Digital Elements Hard Drive features USB 3.0 connectivity. The company claims that it can transfer the data at the rate of 5GB/s with USB 3.0 and up to 480MB/s with USB 2.0. You can purchase this device here. The Logitech K230 is a wireless keyboard, which as per the company, can work up to a distance of ten meters. The company also claims that it has a battery life of two years with no need of changing batteries in between. You can purchase this device here. The Dell WM126 Wireless Mouse allows you to connect up to six compatible devices with a single receiver. According to the company, it provides battery life of up to one year with no hassle of changing batteries. You can purchase this device here. The Logitech Wireless Keyboard and Mouse combo are available at a discounted price of Rs 1,359, with the cashback included. As per the company, the keyboard battery will last up to three years and mouse can be used up to one year before replacing the battery. You can purchase the device here. 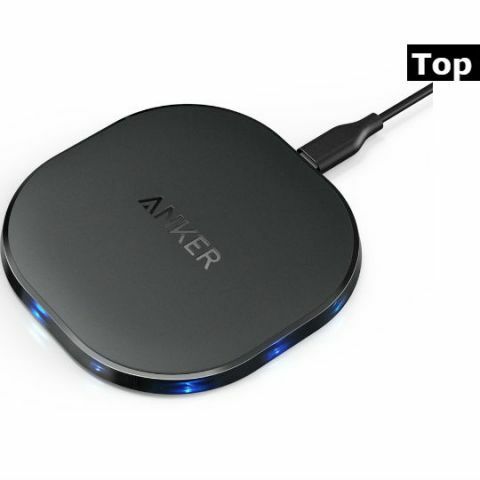 The Anker PowerPort Qi wireless charging pad is compatible with a number of Qi-certified devices such as the Samsung “S” series and the iPhone 8/8 Plus. The device comes with a LED indicator which let the users know charging status. It comes with an 18-month manufacturer warranty that does not cover physical damage. Purchase this device here. The SoundBot SB521 comes with a built-in mic that let users answer calls when the phone is connected to the speaker. As per the company, it can deliver up to six hours of playback in one go with a charging time of three hours. Purchase this device here.